The Hotel of Happiness will be part of an exciting selection of hotels, leisure and entertainment facilities established on The Heart of Europe – a cluster of six islands located just 4km from Dubai’s coastline. 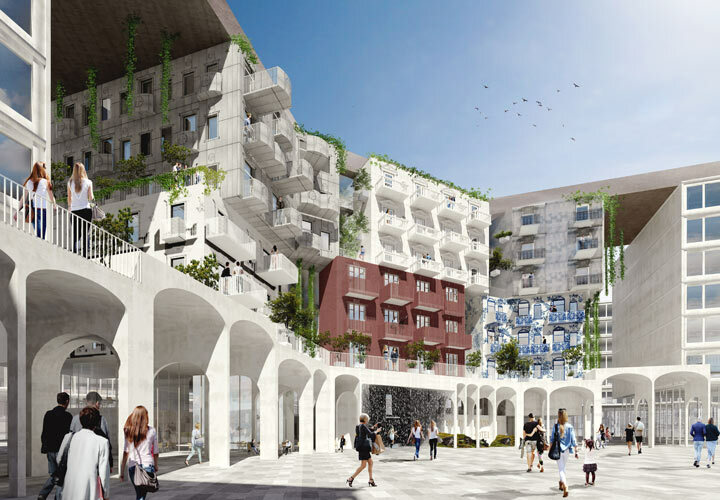 The aim is to create a hotel able to let its visitors experience and enjoy the signature atmosphere of Danish and Northern European Countries. Nordic happiness is associated with different elements. People correlate this happiness to the trust in society and government; others mention the concept ´hygge´ as the main factor for happiness, others think it´s about creating positive social spaces. Happiness is definitely the combination of all these various aspects, which run from social to spatial and characterize the North European countries. We collect all these aspects and then translate them into the design of the hotel. 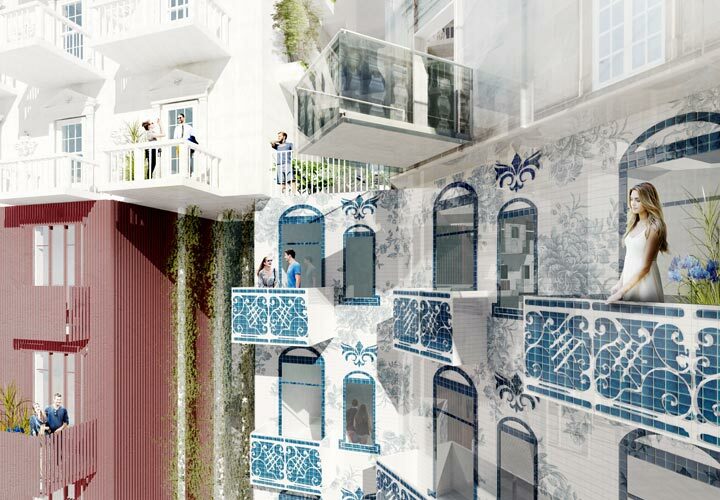 Dining space is one of the key elements of the hotel, and contributes to the establishment of a “vertical plaza”. 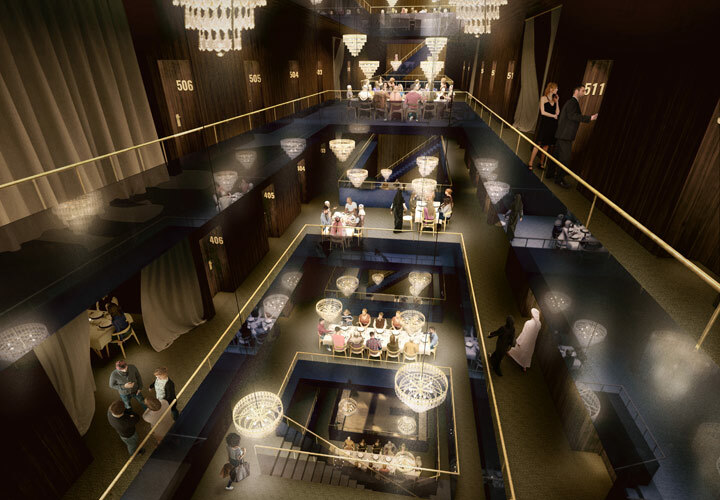 As in a typical hotel, the restaurant is located on the ground and mezzanine levels and serves both the guests of the hotel and the public. 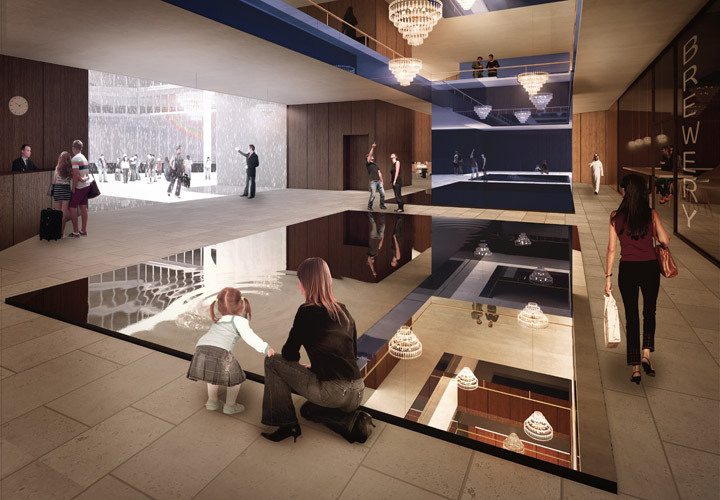 Along with the vertical dining, amenity functions are distributed throughout the building in order to enhance the concept of the “vertical plaza”. On the ground floor, there are public functions such as a restaurant, brewery, bike shop and bike lab, which are open to all visitors of the island. Retail spaces are located on the mezzanine level. 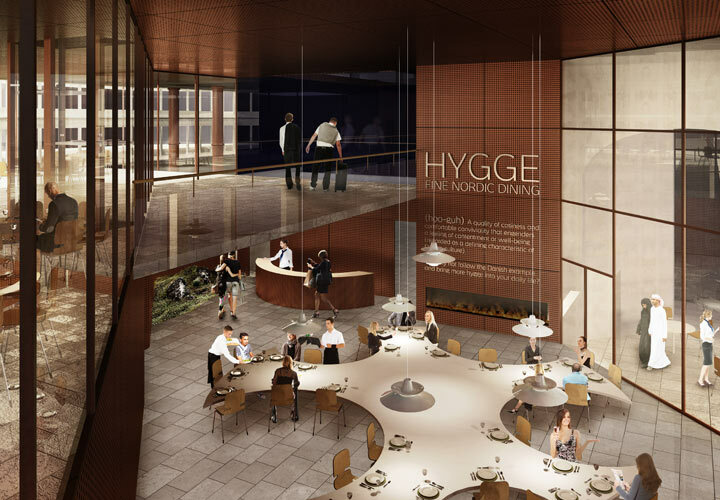 As a small signature of the Nordic countries, the guests will upon entering the hotel, experience a rain curtain (instead of a heated entrance) that opens and cools down the warm air keeping a mild climate in the lobby. A significant feature that in a cool and playful way makes sure that the guests sense a Nordic atmosphere right from the start.